TransLantau is a trail running event on South Lantau Island, Hong Kong. It covers most of scenic spots on South Lantau, such as Lantau Peak and Sunset Peak. Participants have the opportunity to tackle this challenge solo or as a team of two. 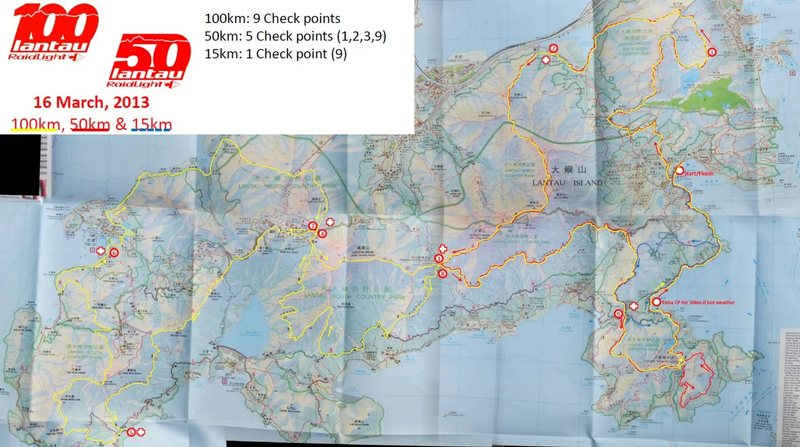 The Ultra 100km TransLantau (+5,800 m elevation) and the 50km TransLantau (+2,700 m elevation) cover two country parks on South Lantau with 90% on trails. The event starts at Silvermine Beach and ends at Mui Wo. To enroll for the Lantau100, you must be a finisher of a 100km trail race OR a 50-km trail race in <12h within the last 2 years. 1. Runners are required to be semi self-sufficient, and must have their mandatory equipment with them at all times during the race. There won’t be drop bag on the course and support crew can only provide food/drinks at the check points. 2. NO outside assistance is authorized beyond the limits of the check points (any food/drinks found on the course will be collected by the staff and the participant responsible will be penalized). Pacer and support runners are strictly prohibited. 3. If you decide to use trekking poles, you must keep them throughout the whole race. It is forbidden to start without poles and recover them up along the way. Click here to view the stunning scenes on Lantau Trails.